Silence Happy Birthday to our Most Blessed Mother! No one was more familiar with the internal chaos our Church is presently experiencing than the humble St. Mary MacKillop, an Australian nun who found herself on the wrong side of Church authorities after she reported a priest for abusing children. 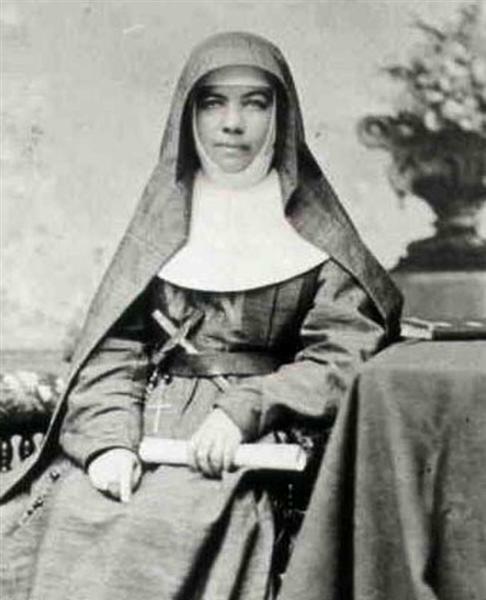 Mary Helen MacKillop was born on January 15, 1842 in the Melbourne suburb of Fitzroy, Victoria. Her father, a former seminarian who was highly educated, and her mother, were both immigrants to Australia from Scotland. Mary was the oldest of their eight children and was educated in private schools as well as by her father. Because her father was never able to make a success of the farm he purchased, the family was poor and survived on very little income. For this reason, Mary went to work at the age of 14 and was employed as a clerk in a stationery store, and as a governess at her uncle’s estate in South Australia. It was here that her vocation to help the poor, particularly to educate farm children, began to blossom. She came into contact with a parish priest named Father Woods who encouraged her to work with rural children. Under his direction, Mary and two of her sisters, Annie and Lexie, opened their own boarding school in what was once an old stable. The new order flourished. By the end of 1869, more than 70 members were wearing the simple brown habit and were operating 21 schools in Adelaide and the surrounding countryside. They also ran an orphanage, cared for neglected children and girls in danger, the elderly poor and the incurably ill. Wherever they went, they were known colloquially as the “Brown Joeys.” In 1871, there were 130 “Brown Joeys” serving in more than 40 schools and charitable institutions around South Australia and Queensland. 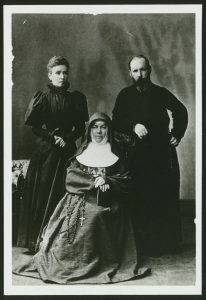 St. Mary MacKillop in 1890, nine years before her death. All seemed to be going very well until Mary and a few of her fellow nuns began to hear disturbing stories about a certain Father Keating from the Kapunda parish north of Adelaide who was allegedly abusing children. They reported this to Father Woods who immediately went to the Vicar General. As a result, the Vicar General had Father Keating sent back to Ireland. However, a friend of Father Keating’s, a priest named Father Horan, swore revenge on the nun for uncovering the abuse. Revenge was not something difficult for him to contrive because he happened to work for the same bishop who approved the Josephites, Adelaide’s Bishop Shiel. From his position, he managed to convince the bishop to change the Josephite’s rule in a way that could have left the nuns homeless. Of course, Mary would not accede to the request and was immediately excommunicated by the bishop for insubordination. Although this action did not disband the Josephites, it did cause most of their schools to close. Mary was forbidden to have contact with the church and lived with a Jewish family for awhile. But her banishment did not last long. On his deathbed, Bishop Sheil recanted the excommunication and ordered Horan to lift the order, which the priest did in 1872. Mary went on to receive approval from Rome for the work she and her sisters were doing. Even though she continued to contend with opposition from priests and several bishops, the work of the Josephites continued to flourish. Mary died on August 8, 1909, at the Josephite convent in North Sydney. One hundred years later, in 2009, Archbishop of Adelaide Philip Wilson publicly apologized to the Sisters of St Joseph for Mary’s wrongful excommunication. “On behalf of myself and the archdiocese I apologize to the sisters, especially to the sisters for what happened to them in the context of the excommunication when their lives and their community life was interrupted and they were virtually thrown out on the streets and that this was a terrible thing,” he said. Mary was canonized on October 17, 2010, by Pope Benedict. The story of St. Mary MacKillop teaches many valuable lessons about the importance of responding generously to God’s call and persevering in the face of sometimes serious impediments. But most important of all, it teaches us that God’s work can flourish even in the midst of the kind of scandal and internal division we are undergoing today in our Church. By following her example, we see how much we can do for the Church, even during difficult times, just by keeping our eyes on Christ and refusing to let ourselves sink into the mire of the sin and scandal that surrounds us. St. Mary MacKillop, pray for us!